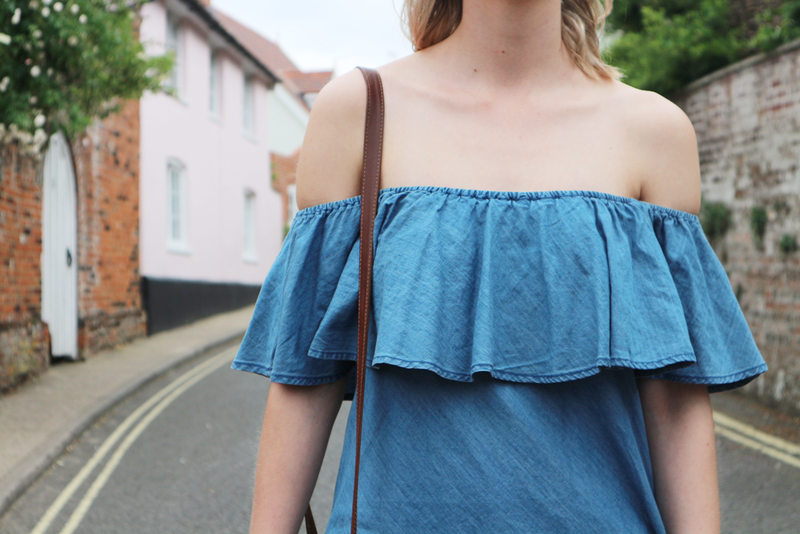 Off the shoulder? Check. Frills? Check. Pockets? Check. 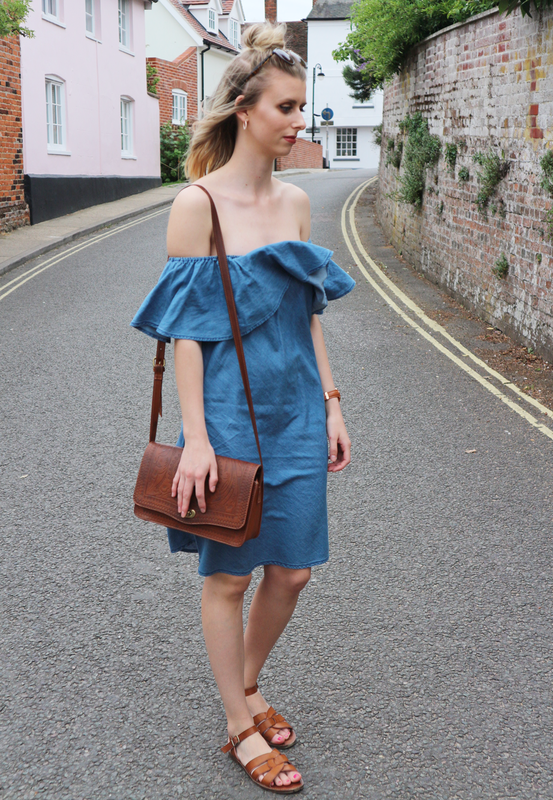 Could this be the Summer dress of dreams? Couldn’t believe my eyes when I caught this beauty in Primark. It is quite possibly the best dress of the Summer. I mean, all dresses that have pockets totally win, don’t they? I didn’t realise how much of this outfit was Primark before I sat here to type up all the details. Can’t argue with Primark though, can ya? Also really feeling this location J and I found to shoot. I’m still not 100% comfortable with shooting in really busy places so this little lane was perfect, AND it has a cute little pink house in the background. Where are your favourite places to shoot?